About Pamer Chiropractic Health Center, Inc. Since 2001 when he got out of school, Dr. Andrew Pamer has enjoyed educating his patients about what true health is through chiropractic care. Dr. Andy looks forward to helping those in Portage Lakes and Green enjoy revitalized health! We’ve been taught by many in the media, the community and even the medical profession that when you’re sick you take a drug or manage it somehow. The problem is that people aren’t getting healthier. They’re getting sicker and sicker as the days go by, and health care costs are skyrocketing. Through chiropractic care, we want to help you heal and stay well, not just provide a quick fix for your symptoms. 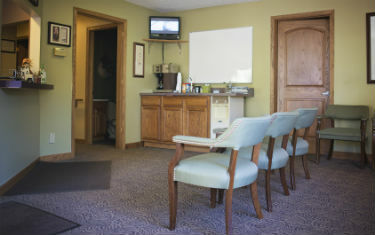 Quality, affordable care – You will always get quality care for your dollar at our practice. Transparent approach – We’re always open and honest with you about your health. Simple wellness – We’ll teach you about your health and make wellness easy. Care you can trust – We build foundations rooted in honesty so you can always count on us. You will never get the runaround. Accessibility – We strive to ensure everyone can live a life of wellness. We welcome patients and families to take a preventative role in their health by visiting us for wellness and maintenance care. When chiropractic is part of your health regimen, you can avoid pain, drugs, surgery and the frustration of sickness. Dr. Andy hopes that all of his patients will feel comfortable and enjoy health throughout their entire life. From infants to seniors and everyone in between, we welcome you to visit us for as long as you’d like to be healthy. We love seeing families get well and stay well together. If you’re interested in having Dr. Andy host a talk at no charge at your workplace or interest group, contact us today!